The lightweight construction of the sock offers a close and comfortable fit, while the climalite moisture wicking yarns ensure your legs and feet will stay cool and dry. 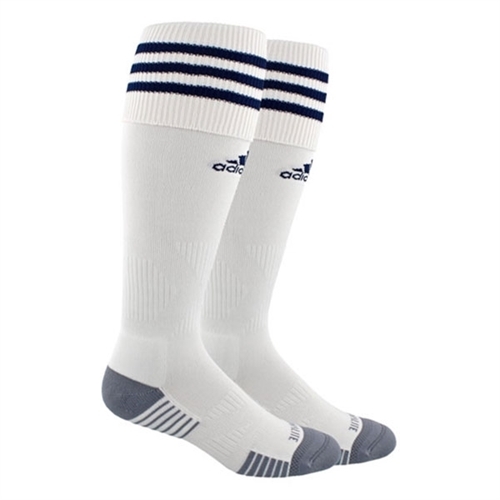 Our new and improved adidas Copa Zone Cushion III Sock is the go-to soccer sock of choice for all levels of players. The updated footbed features targeted cushioning at the heel and toe for better shock absorption. The new, shaped arch and ankle compression provide added stability where you need it most.